Microsoft Would Utilize Talko’s Technology In Skype…. Leading software company Microsoft announced that it would utilize Talko’s technology in instant messaging and video conference service Skype. Talko is an SmartPhone application startup for business team communication which is lead by Ray Ozzie who is a former Microsoft Chief Technology Officer. This application bought together messaging, conferencing, calling, photos. 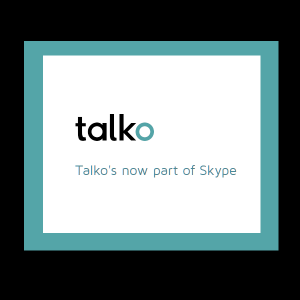 In a blog post Gurdeep Singh Pall who is Skype’s Corporate Vice President announced that Talko will help Skype make it easier for family members. Ray Ozzie, sold Groove Networks a software company to the to Microsoft for $120 million. Now Microsoft collaborate it as Microsoft SharePoint Workspace.